Kiss & Makeup : Bath/ shower products I love! I'm obsessed with shower gels and body lotions and all that good stuff, so I thought I'd do a post on the bath and shower products I'm using at the moment! I use a wide range of many different things but I don't tend to mix and match products, I like to keep to the same brands to make the products work and plus it makes me smell a lot better! 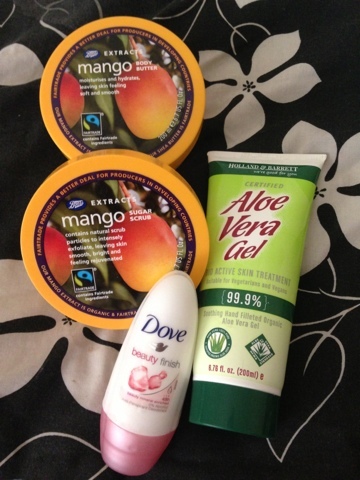 At the moment I'm using a 3 piece product set by boots that is a mango sugar scrub, body wash and body lotion! When I'm out of the shower, I used the body lotion which is so creamy and thick it's beautiful! The goes on the skin beautifully and soaks into the skin leaving a lovely mango smell! 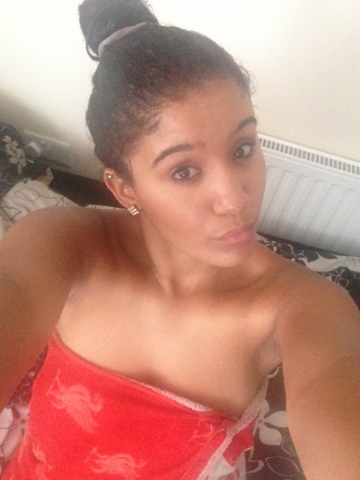 Then I apply my aloe Vera (see my July favourites post for more info) to my skin and use my roll on dove deodorant (no alcohol) so I feel nice and fresh!